Tips to help you stay warm (and save money) in your apartment this winter. The leaves are now beginning to fall, which any Bostonian knows is a sign that winter is coming. And with winter coming that means cold temperatures are also coming to Boston. We have put together this list of tips to help you keep warm this winter. It doesn't matter if your rent includes heat or not, or if you are renting or if you own a condo. 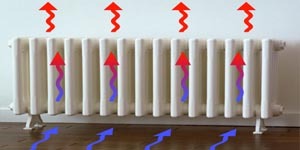 These tips are not only money and energy saving (yay Earth! ), but they can also mean the difference between whether you can see your breath in your apartment or not. If you still have an AC in your window, remove it! 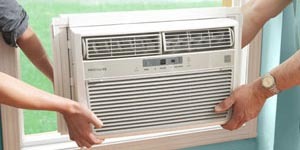 ACs are the number one cause of heat loss. They vent directly to the outside so your heat literally goes straight out the window. The city requires ACs to be out of the windows by October 1st anyway. 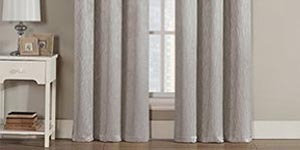 Consider upgrading to heavy panel curtains for the winter. The heavy curtains will help to insulate your windows and block drafts during the cold nights. During the daytime open the curtains and let the sun's heat warm up your place. 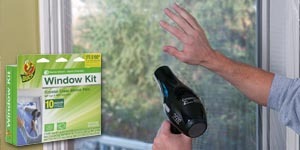 If your apartment has old, wooden windows, and/or if your windows are not double pane (2 layers of glass with insulating gas between them) you should seal them with window film to insulate them. This will prevent tons of heat from being lost. You can find DIY kits like this one on Amazon for just a few dollars. Finally, try to block as many air drafts as you can. If you have cracks or gaps between the floors or walls try stuffing some foam in them to stop air drafts. 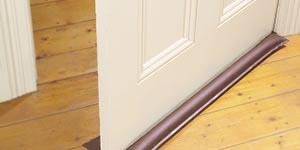 You may also put draft stoppers in front of your entry doors like this one. Also, if there are rooms that you don't use often you can close the doors to focus more heat into the room(s) that you do spend most of your time in. If your apartment has it's own HVAC (heating, ventilation & air conditioning) system you should be changing your air filter monthly. A dirty filter will cut your system's efficiency dramatically. 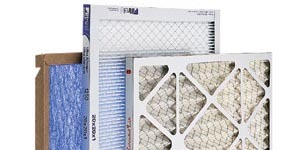 By keeping your filter clean it allows better circulation in the system, and the warm air can move through the ductwork more freely. Radiators, baseboards, and vents all need space around them for air to circulate properly. Even though a radiator will get super hot, it may not properly heat your apartment if you have furniture pushed up against it. Make sure that furniture is at least 6" away from vents and radiators to help warm up the whole room, not just the back of your couch. If you have a ceiling fan in your apartment you can use it to help push the hot air that rises to the ceiling back down. 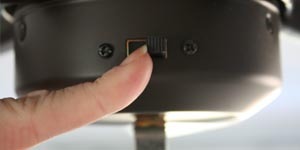 Just reverse the direction of the blades by flicking the switch on the fan (see picture above) and put it on the lowest speed setting. Cool air will get drawn up towards the fan and the blades will help push the warm air back down. Although it seems like a logical idea to just buy a space heater or use your oven to add additional warmth to your apartment, these are not the safest solutions. Yes, using your oven will add heat to your apartment, but it's very unsafe to use your oven strictly as a source of heat...especially if it is a gas oven. And if you absolutely must have a space heater for a room that you just can't quite seem to get warm always check with your landlord first to make sure it is done safely and that the building's electrical system can handle the additional load. Stay warm (and safe) this winter!